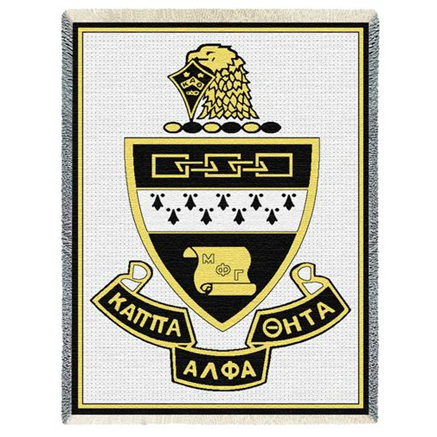 Have you ever seen a more distinguished decorative blanket for a women's fraternity than this Kappa Alpha Theta Greek Crest Afghan Throw? It's beautifully designed in your organization's colors. It's woven, washable and measures 48"x68". For an added amount, you can also add a line of personalization to the front.